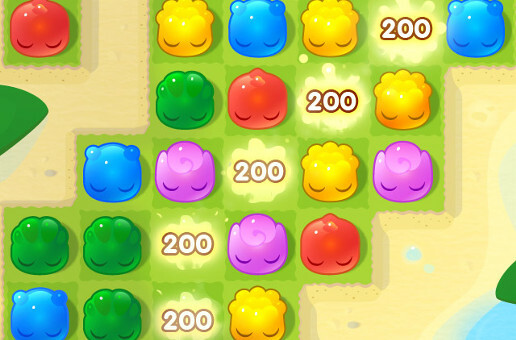 As the app economy rises, so do companies that make developers’ lives easier – and Apportable, which helped Berlin’s Wooga with its latest social game Jelly Splash, is ready to ride that trend. Clients so far include Björk (for her Biophilia app album), the company behind “galactic mote” game Osmos and Wooga, which used it to build the Android app for Jelly Splash, now at 15 million downloads across all platforms since August 2013. Normally, Wooga Corporate Development Manager Sebastian Kriese explained, new games would be built by separate teams for iOS and Android. With new games built and tested for iOS first, Android would usually be several steps behind. “Even now with Diamond Dash, it’s still a different feature set on Android,” Kriese said. Wooga sent two engineers and Kriese as project manager to San Francisco to work with Apportable and produced a final version from “zero to launch” in eight weeks, speeding up the process “by a factor of months”. The service comes for a price – Apportable offers a free basic service and either $1000 or $15,000 per developer per year for “indie” and “pro” licenses. Enterprise clients such as Wooga pay on a case by case basis and get extra features and support. It will be up to individual teams at Wooga whether they use Apportable for new projects. Other companies working in a similar space include Unity, which uses a different method to bring apps to iOS, Android, Windows Phone 8 and BlackBerry 10.